Developers are human. Humans err. This is just a short reminder to myself to never ever make the same mistake. …and in case one of the methods returns false, to return an error. Actually three different methods were called, but the idea is the same. Unfortunately Java short-circuits boolean && expressions! Poor developer. The first call method(5, 5, 3) returns true which is negated (!) to false. Once the boolean expression contains false, there is no way it will ever change to true. It is absolutely irrelevant what the results of method(4, 2, 3) and method(7, 8, 33) are. 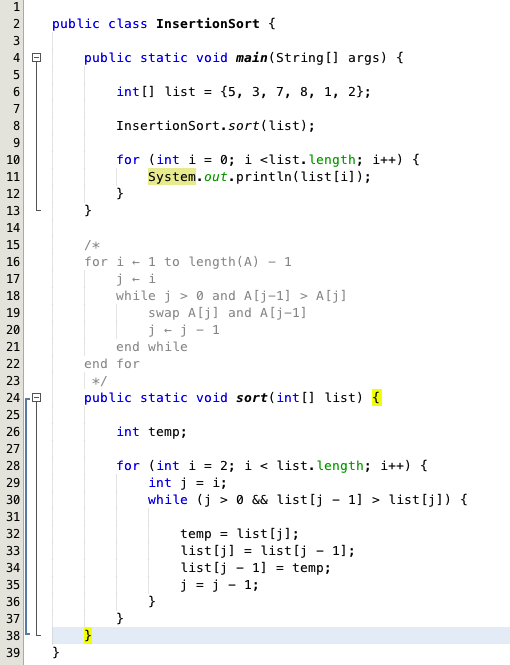 Therefore only method(5, 5, 3) gets executed. The two other calls are skipped. I managed to improve my algorithm…down to 1 second. Let’s see what I did using the triangular number 28 from the problem description. 28 % 1 == 0 → true. k = 28 / 1 = 28.
divisors.contains(1) → false, add 1 to divisors. divisors.contains(28) → false, add 28 to divisors as well. Therefore divisors = [1, 28]. Continue with i = 2. 28 % 2 == 0 → true. k = 28 / 2 = 14.
divisors.contains(2) → false, add 2 to divisors. divisors.contains(14) → false, add 14 to divisors. divisors = [1, 2, 14, 28]. 28 % 3 == 0 → false, divisors = [1, 2, 14, 28]. 28 % 4 == 0 → true, divisors = [1, 2, 4, 7, 14, 28]. 28 % 5 == 0 → false, divisors = [1, 2, 4, 7, 14, 28]. 28 % 6 == 0 → false, divisors = [1, 2, 4, 7, 14, 28]. This will be my last blog post on the lattice path problem for now. As always, full credit goes to Pim Spelier. After all that theory I want to do some reading on real life applications of lattice paths. Also I have some other blog topics and Project Euler problems on my mind. The final solution to the lattice path problem is shockingly simply, if you know your math. I fiddled with a similar idea when I started working on this, but failed to figure it out in the end. Because I don’t know my math (yet). Let’s have a look at the 2 x 2 grid. Whatever path you take from the top left to the bottom right corner, you always have to go the same number of steps right- and downwards. So it is either RRDD, RDRD, RDDR, DRRD, DRDR or DDRR for the 2 x 2 grid. Always a combination of two steps to the right and two steps to the bottom. 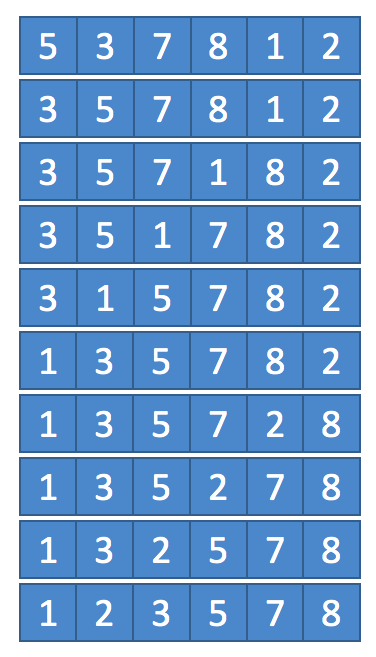 The number of steps total is defined by the grid size. 2 x 2 = 4 in this example. For a grid of width n and height m it’s n-times R and m-times D with a total step length of n x m.
Now all you have to figure out is, how many unique combinations of Rs and Ds in a string of length n x m exist. Actually you only have to know the unique ways of placing Rs in a string of length n x m. Once the Rs are in place, the Ds are automatically in place as well. The math you need to figure this one out is called binomial coefficient, short nCr for from n choose r.
How many unique ways can two Rs placed in a string of length 4? Done! Now I need to install me some Latex. Powerpoint is such a pain.